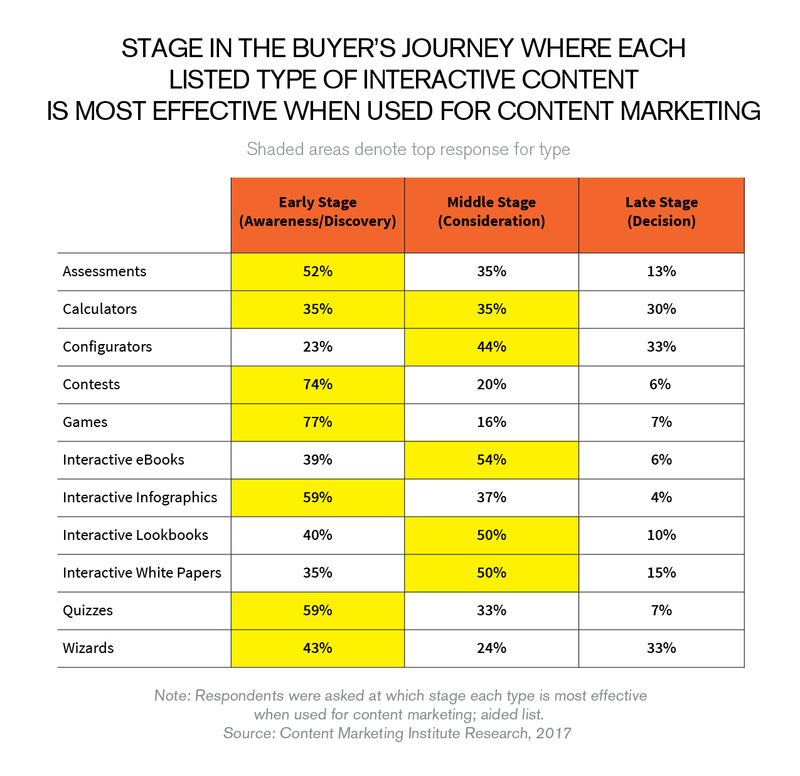 According to Content Marketing Institute’s latest research (btw we love CMI surveys and use them regularly), nearly half (46%) of marketers surveyed are using interactive content. Their top reason for doing so? 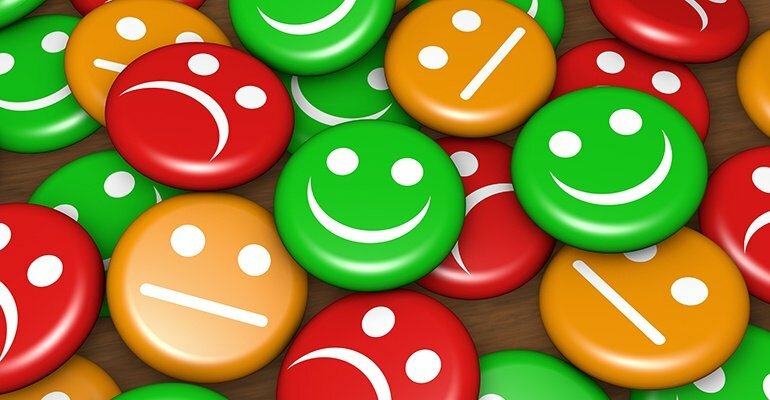 Engagement – followed by educating the audience, creating brand awareness, and lead generation. 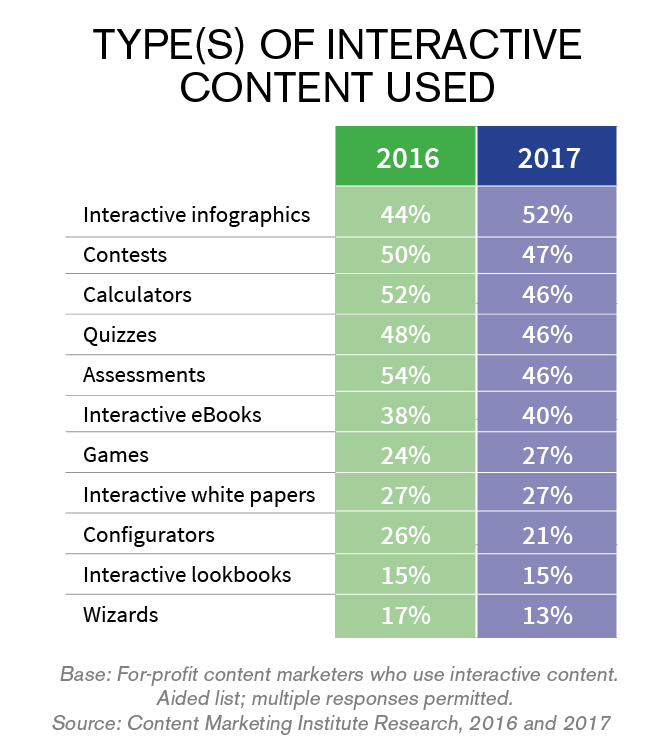 The CMI conducted the same survey in 2016 and 2016 and below we will show you how things have changed in the usage of interactive content marketing. 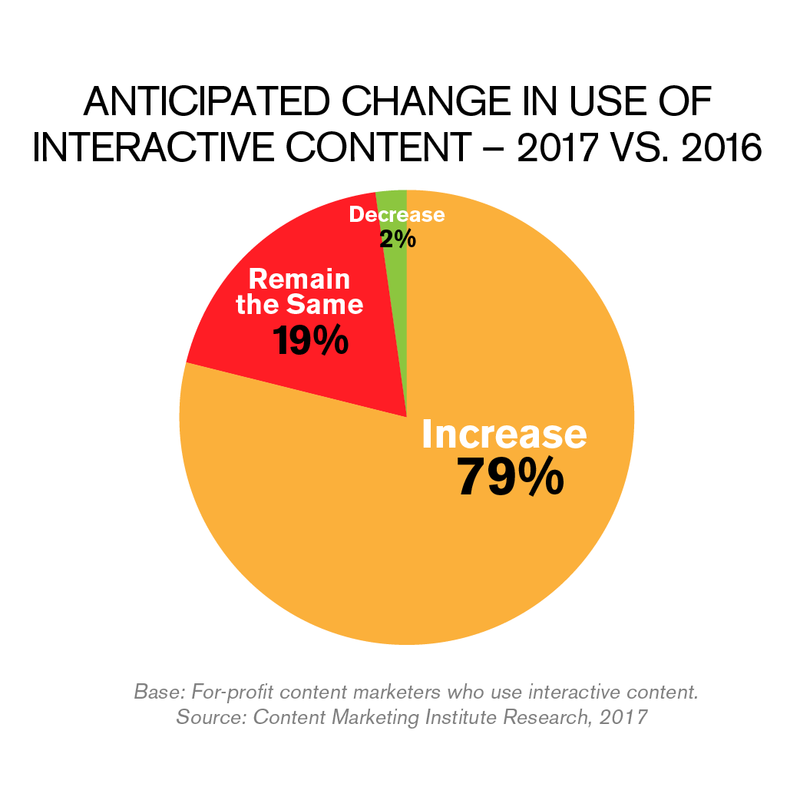 The use of interactive content will continue to rise: 79% of those that use it say they plan to increase their use in the next 12 months (last year, 75% said they anticipated an increase). The most-cited reason, by far for not using the interactive content is lack of staff/bandwidth (50%). Lack of budget comes in second at 39%. What might encourage companies to use interactive content? 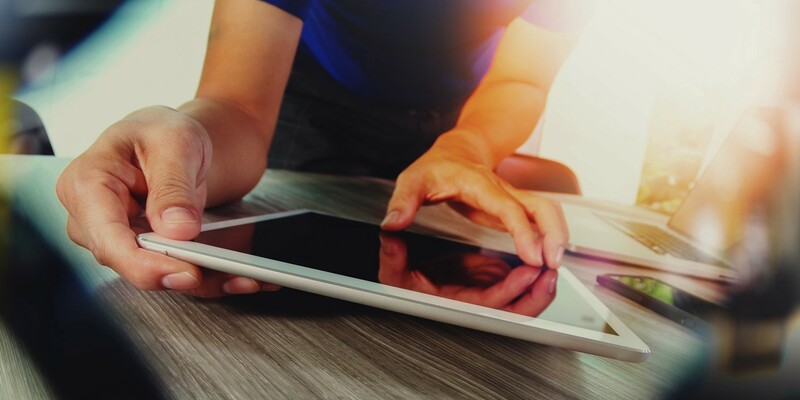 Are you using interactive content? If so, how’s it going? If not, why? Please let us know. 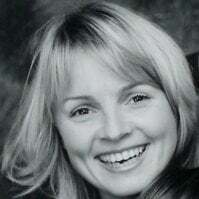 Touchify helps companies to improve their brand image by using interactive, engaging and impactful content. 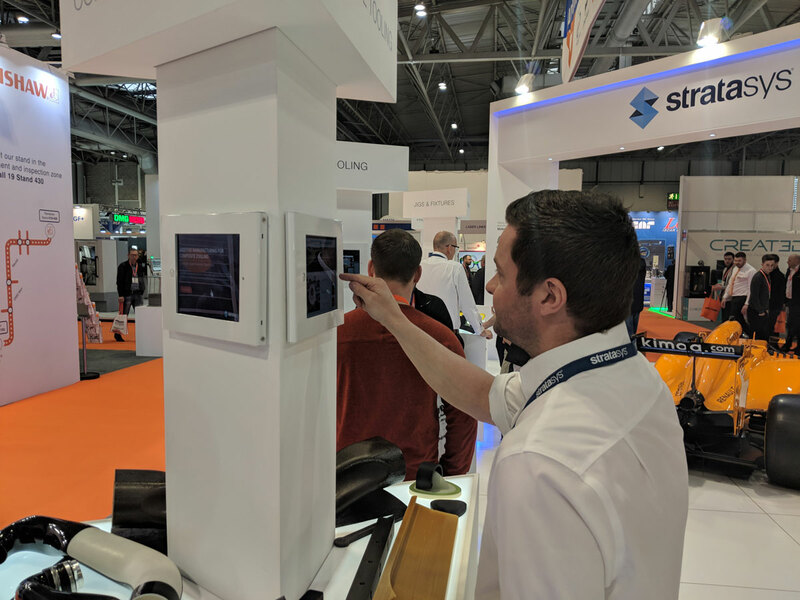 How to Maximize Your Next Trade Show with interactive content?